Be careful: Mercury is quick and vicious. 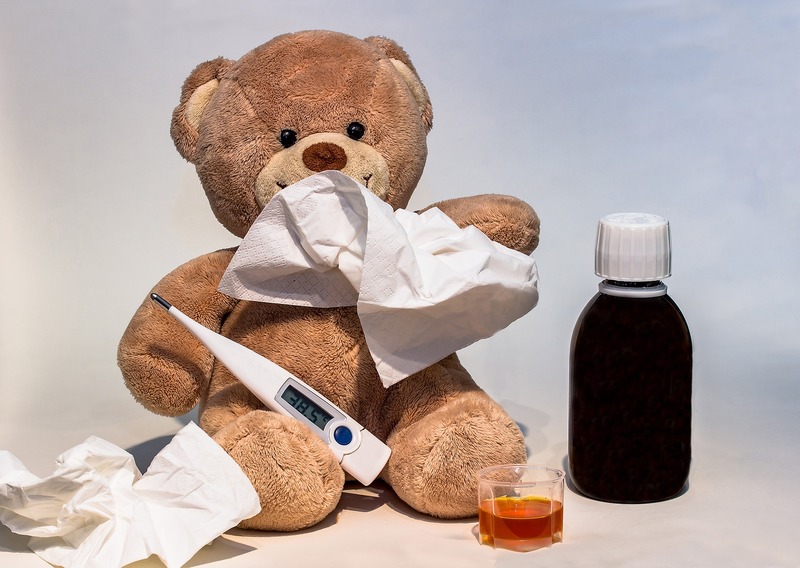 Image credit (top): “Cold Ill Fever Thermometer Increased Temperature” by Myriams-Fotos. CC0 via Pixabay. (bottom): Mercury (Hermes) Engraving by G.H. Frezza. CC BY 4.0 via Wikimedia Commons. It seems that my reasoning made people return to the source of the idiom as mad as a hatter. There is no disagreement on the basic facts: hatters suffered from mercury poisoning; the dangers of mercury have been known for a long time; the idiom goes back to the 1820s; hatters’ exposure to mercury was also known around that time, but the name of the disease postdates the idiom by many decades; the idiom was probably launched as a joke, and this circumstance makes the connection between its coining and the discovery of the disease almost improbable. Stephen Goranson’s note is curious. Incidentally, I have had Manchester City Notes and Queries screened for the etymologies of both words and idioms (and found a lot of exotic material in that periodical), but the story of the Czar and the hatter did not attract my attention. Such an incident could have given rise to the phrase, but, as Goranson says, there is no knowing whether that hatter was famous in England, and here is the rub. By way of consolation, we’ll show you the crown of the Russian czars. In Russian, it is called shapka Monomakha (shapka means “cap, hat”). The crown of the Russian czars, known as shapka Monomakha–a heavy burden. Image credit: Photo of Russian royal regalia on display in the Kremlin Armoury, Moscow, taken August 2003 by Stan Shebs. CC BY-SA 3.0 via Wikimedia Commons. Is the verb atone traceable to the phrase at one? In some way, it is. The phrase at one “in harmony” existed in Middle English and was influenced by Medieval Latin adunamentum “unity” (from adunare “to unite”), which gave rise to late Middle English phrase at onement and the later form atonement. From this noun the verb atone was produced by back formation. In some way, the history of its pronunciation mirrors that of alone (from Middle English al one). Why does score mean “twenty”? I think most of us recognize only the numeral fourscore “eighty.” The root of this word designates “cutting,” so that score is related to share (as in ploughshare and in all other kinds of share) and shear. The initial group sc-, that is, sk– betrays the word’s Scandinavian origin. It is usually believed that Old Engl. scora (only the plural has been attested) designated a mark on a tally. This hypothesis cannot be confirmed, but from what we know about primitive counting it looks convincing. Perhaps every “scora” marked twenty of something. More puzzling is the phrase musical score. “Said to be so named from the practice of connecting the related staves by ‘scores’ or lines marking off the bars,” by The Oxford Dictionary of English Etymology. George Bernard Shaw at eighty (fourscore). Image credit: George Bernard Shaw by Davart Company. Public Domain via Wikimedia Commons. Up and down. From a reader: “Downs are elevated land forms. Are there other autoantonyms (regardless of common origin, which makes this case wonderful)?” The unwieldy term enantiosemy means “the coexistence of two opposite meanings in a word.” Sometimes the clash is the result of quirky history. Thus, inflammable means the same as flammable, because in in this word is a negative prefix (compare inadequate, intolerable, and so forth, as opposed to inborn, ingrained, and the like). In Modern Engl. let, the opposite senses have coalesced: “to allow” and “to hinder.” In the past, two different words existed. The negative sense is forgotten, and only punsters enjoy examples like they let me go free (allowed me to go free or prevented me from doing so? ), but in the tautological binomial without let or hindrance, the archaic sense stays alive (let = hindrance; that is why the group is tautological). The tennis term let has the same origin. Quite often it is the situation that produces ambiguity, because adjectives (especially adjectives) tend to refer to things that are beneficial or detrimental, depending on the circumstances. We are delighted to receive gratuitous medical assistance but are shocked by gratuitous cruelty. Likewise, people constantly plead for compromise, but no one enjoys being compromised. The Old Icelandic word meaning “true” also meant “guilty,” and a good explanation exists for this development. A classic example of enantiosemy is Latin altus “high” and “deep.” Apparently, to the native speakers of Latin altus meant “far from the ground,” while the direction of the look depended on the situation: up or down. I discussed this phenomenon at some length in my book on word origins. Both down “elevated ground” and down in go down are from Celtic. Despite some disagreement among etymologists, I think the two words are related. In Luke IV: 31, one of the Old English bibles has dūne āstāg “descended” (compare German steigen), and in the Gothic Bible (Matthew VIII: 1), the group sounds as dalaþ atggandin “going down” (gg = ng), in which dalaþ means “into the valley” (dal– “dale,” German Tal). There must have been a clear idea of going downhill in the direct sense of the word. “And the hunter home from the hill.” – R.L. Stevenson. Image credit: Monthly cycle, scene: The Hunters in the Snow by Pieter Bruegel the Elder. Public Domain via Wikimedia Commons. Our correspondent asked why oar (see the post for 17 January, 2018), or, and ore are spelled differently. Oar goes back to Old English ār (with long a). In Middle English, long a became, by a regular sound change, long o, but there were two ō’s in Middle English: closed (the continuation of Old Engl. ō) and open, the vowel that developed from Old Engl. ā. Later, the open vowel, if it remained intact before r, was usually spelled as oa (a, the second element of the digraph oa, indicated its openness). The conjunction or, most likely, of Scandinavian origin, appears to have developed from oþþer (þþ as in Modern Engl. this), so that its spelling has not changed much since the thirteenth century, except that the lost consonant is, providentially, not reflected in today’s form. Finally, ore goes back to Old Engl. ōra “unwrought metal,” with closed ō, which, by the Great Vowel Shift, should have changed to ū (in which case ore would have rhymed with moor), but it was confused with the reflex (continuation, descendant) of Old Engl. ār “metal; bronze, ” and became a homonym of oar. I am not sure how the modern spelling of this word arose, but ore seems to be spelled, as though it went back directly to ōra, which it does not. I mislaid an old question and am now answering it with a long delay. Some time ago, I wrote that the latest tinkering with German spelling reflects the influence of the Swiss norm. The question was whether I mean the use of ß. Yes, this is what I meant. In German, ss and the special letter ß designate the same sound, namely s (voiceless). The rule regulating their use is only partly intuitive. The Swiss abolished ß long ago. The Germans followed their example, but only up to a point, and I am not sure that they have done it quite well. The Spelling Congress has been announced. The first session will take place on 30 May, in the form of a webinar. Closer to that time I will make a detailed announcement. Many more answers next week. Featured image credit: “Rough Horn Alpine Tannheimer Mountains Mountain” by Simon. CC0 via Pixabay. 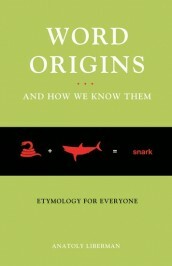 Ana toly Liberman is the author of Word Origins And How We Know Them as well as An Analytic Dictionary of English Etymology: An Introduction. His column on word origins, The Oxford Etymologist, appears on the OUPblog each Wednesday. Send your etymology question to him care of blog@oup.com; he’ll do his best to avoid responding with “origin unknown.” Subscribe to Anatoly Liberman’s weekly etymology articles via email or RSS. You say: “In German, ss and the special letter ß designate the same sound, namely s (voiceless)” That`s not quite right – at least in Southern Germany and in Austria the ß is named “scharfes s”= sharp s – and you can hear the difference betw. “sie verließen” (they went out) and “sie verlasen” (they read)! I don’t think you are quite clear in the matter of flammable. While the OED was able to dig up a few earlier uses, its modern use results from a conscious decision in the 20C to avoid inflammable when describing things that can burn, precisely because people do interpret in- in this word as negative. Benjamin Whorf discussed this case as one he had met in his professional work for Hartford Fire Insurance. But in figurative uses, inflammable still reigns supreme: we speak of inflammable temperaments, not flammable ones. As to ß, both the old rule and the new are sufficiently intelligible. The old rule was that ß was written if no syllable division existed between the two underlying esses, and ss otherwise. The new rule, which is more phonetically useful, is that ß is written after a long vowel. The reason that /s/ is a special case is that when single it voices to [z] intervocalically (north of the White Sausage Equator, anyway) and thus the usual rule of doubling the consonant after a short vowel is unusable. Interesting what you say about same word having opposite meanings depending on context. In Greek, the same word can have opposite meanings depending on what syllable is stressed. Independent of context. For example, “geros” (stress on first syllable) means “old”, as in geriatrics. And “geros” (stress on last syllable) means “strong”. When the stress is blurred, context may take its place. Could this be the cause for word enantiosemy? I continue to question your logic re “as mad as a hatter”. The recognition of hatters “mercury poisoning” madness symptoms surely predates (back to the time of the coinage of the idiom) the medical discovery of the desease. And likely provided valuable clues as to the desease origins. The comment I posted on 29th January, which has gone unnoticed, might give clues as to the origin of ‘mad as a hatter’. As I had written, there existed, besides ‘mad as a hatter’, several intensive similes expressing notions different from that of insanity; in particular, ‘drunk as a hatter’, ‘to work like a hatter’ and ‘to lie like a hatter’. All of them (‘mad as a hatter’ included) appeared in Northern-English, Scottish and Irish texts and contexts. The Dictionary of the Scots Language defines ‘like a hatter’ (which it relates to ‘mad as a hatter’) as meaning ‘with the utmost energy or vigour’, ‘with all one’s might and main’, “like mad”. I’m not sure that we have to find an example of hatters who were mad in either sense, any more than we have to find an aquatic bird that was actually bald to justify “bald as a coot.” The rhyme or near rhyme of “hatter” and “madder” is probably an important consideration. With reference to an earlier note, the expression “wool-gathering” is still current on Tangier Island in the Chesapeake Bay. Dr. Köhler, the in “verlasen” is voiced in Standarddeutsch, though in southern dialects [z] > [s], and in order for the phonemic value of the devoiced spirant /s/ to be maintained, slight articulatory distinctions persist. This is also true of the devoicing of [b]; by way of contrast [p] is articulated with more tension, so as to distinguish it from /b/, as both are voiceless. To circle back, Anatoly is correct: and do both indicate [s], not [z]. Mr. Cowan, the rule for ß is not super helpful for bayrische Dialekte, where many vowels in closed syllables are lengthened, thus confusing these speakers: e.g. Eßtisch or Esstisch.